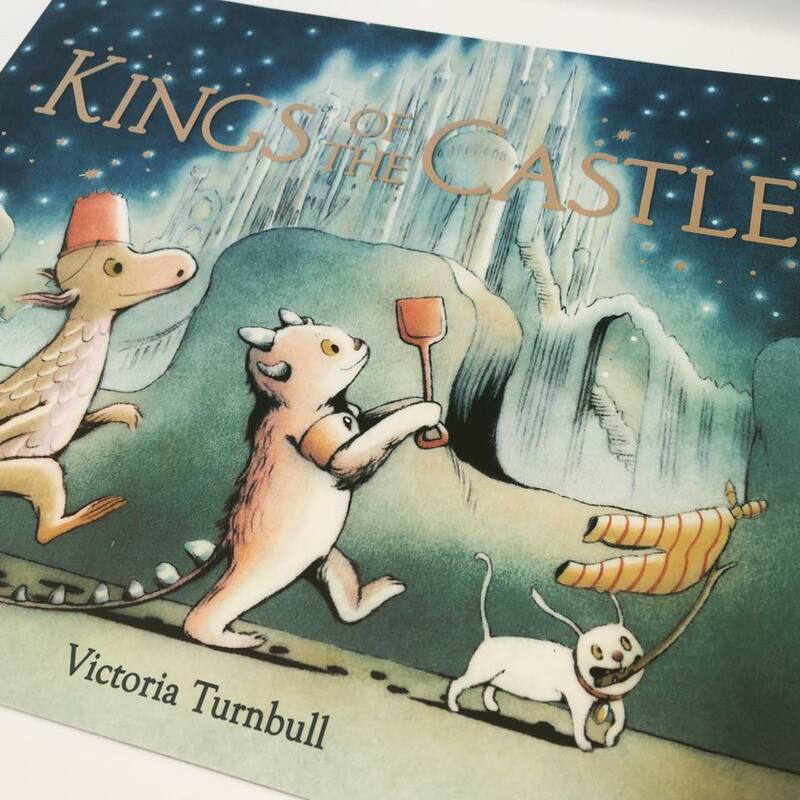 ‘Kings of the Castle‘ is another highly imaginative and truly magical night time tale created by Victoria Turnbull. We adored ‘The Sea Tiger‘ and this follow-up is an equally adorable tale. 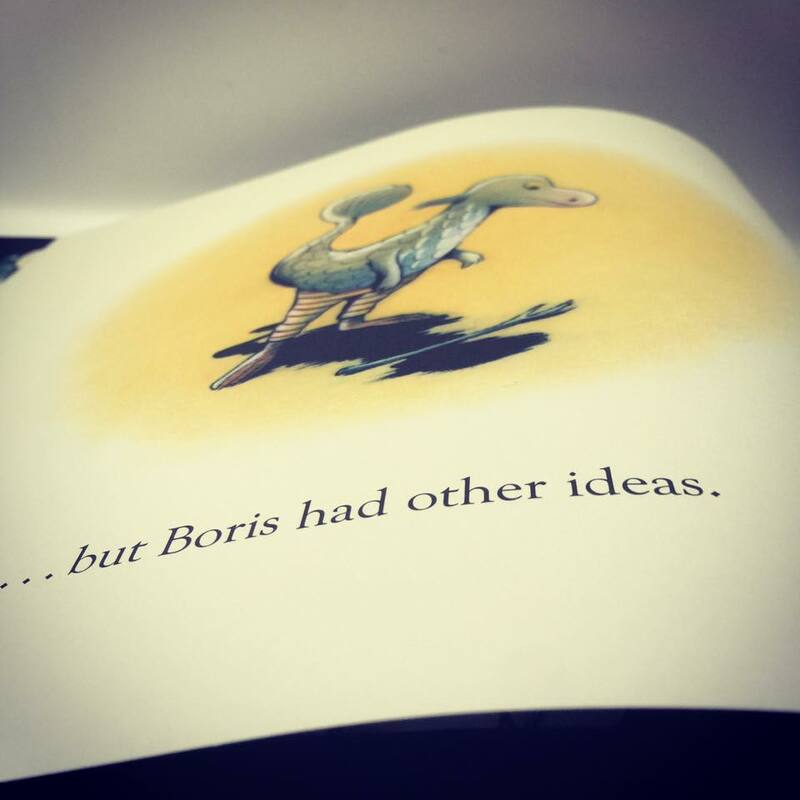 But his friend Boris isn’t quite as willing to help, in fact he’s more of a hinderance! As George almost gives up on his idea of building an enormous sandcastle, a creature, the strangest looking creature he had ever seen, emerges from the moonlit water. Meet Nepo. Perhaps he could help George on his mission? But unable to understand each other surely this would be impossible… Or would it? 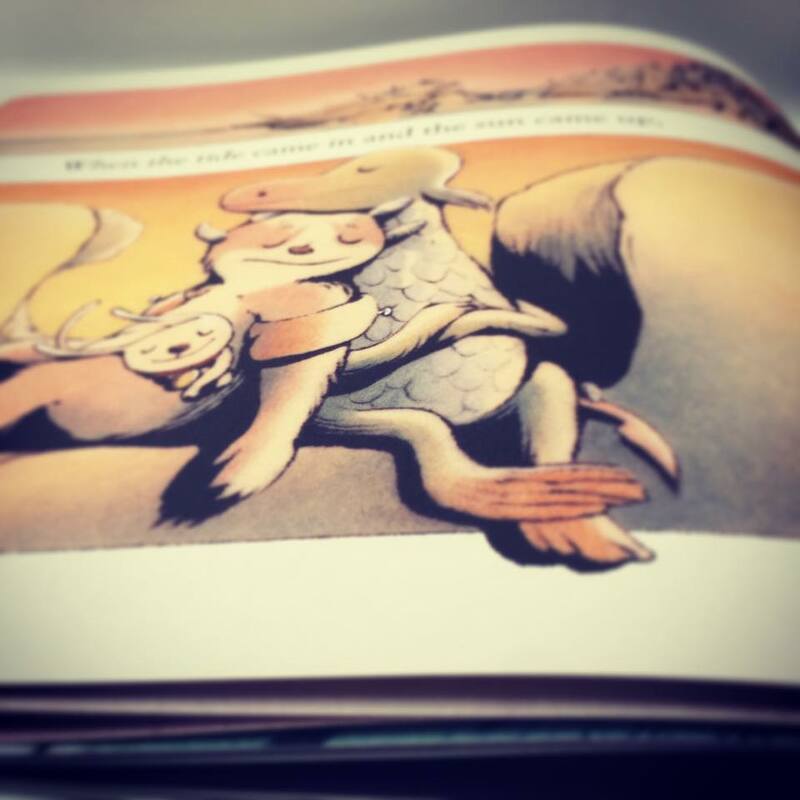 This picture book has a stunning composition, with an almost graphic novel feel in places and the subtle changes in layout make for a positively engaging read. 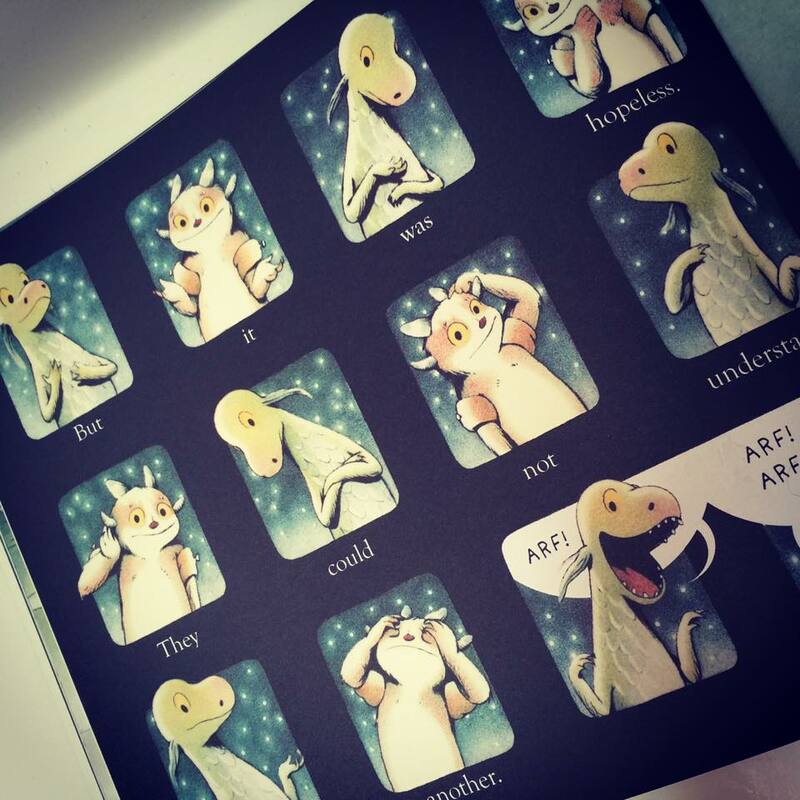 From full colour, fold-out spreads to a page of punchy squares, each turn of the page is a new surprise for the reader, providing a highly accessible platform for young readers everywhere. Turnbull’s use of a soothing palette which transitions between the greens and turquoise of the evening sea, to the warm yellows and orange which mark the dawning of a new day, provide the perfect backdrop to this gently unfurling story of friendship. As this unlikely friendship begins to blossom, George and Nepo prove to be a formidable pairing, as together, they build a rather splendid castle, one that would turn any monster green eyed with envy. But when the night begins to turn to day and the sandcastle melts into the sea, what will happen to this newfound friendship? 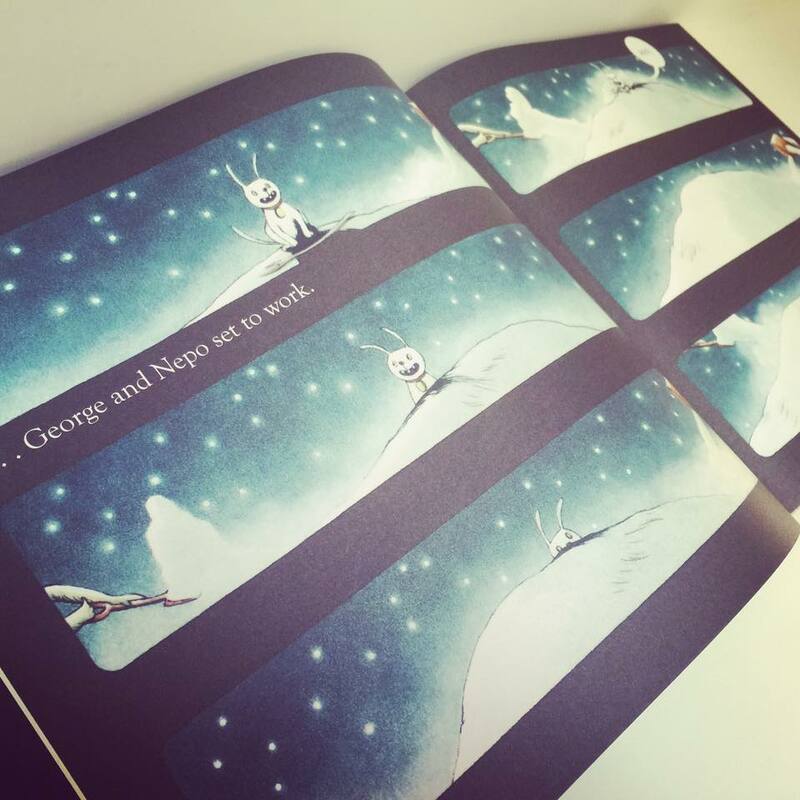 The ebb and flow of the sparse text, coupled with the serenely soothing illustrations are the perfect ingredients for a heart-warming bedtime read and a story which delivers on so many levels. We knew we wouldn’t be disappointed by the next offering from Victoria Turnbull. Both stories complement each other and will make for a stunning collection. Ah – we loved The Sea Tiger. Very excited to read this one now!